The biggest BMW in all aspects will be the new BMW X7, a new SUV model that has just been presented in society and is called to represent BMW in the luxury segment. With capacity for seven passengers and gasoline and diesel engines, this is all the information about the new flagship and features of BMW X7. The new BMW X7 is a model that has been talking for a long time. 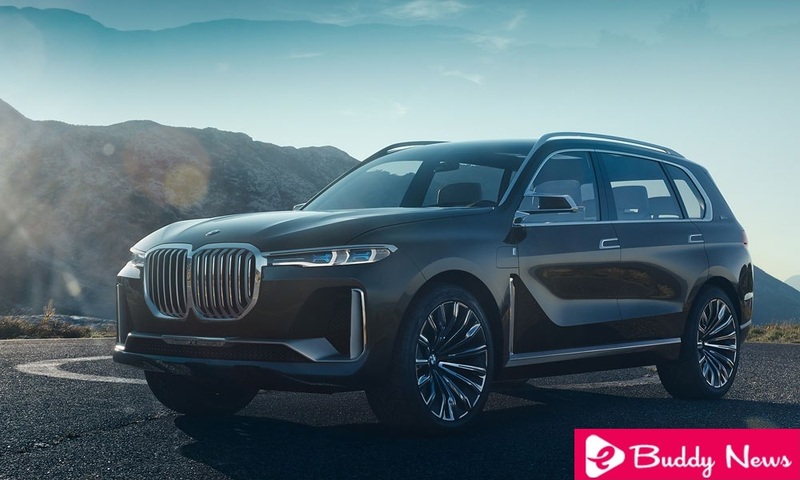 Not in vain, the German brand has already advanced the key points of this car with the BMW Concept X7 iPerformance and 10 months ago showed us the first pre-series units leaving the plant in Spartanburg (USA) where it will be manufactured. It will be the seventh model of the BMW X range and will be positioned above X5 and X6, in the prolific segment of the large luxury SUVs, called to banish the great representation sedans as the most elegant and luxurious cars of their respective brands. One of the features of BMW X7 is the length of the car. The car measures 5.15 meters long, 2 meters wide and 1.8 meters high, dimensions that allow it to have a wheelbase of 3.10 meters and therefore, with a really outstanding interior capacity. So much so that all BMW X7 will have a 7-seat configuration, compared to what happens in his little brother the X5 where the third row of seats is optional. Also in the BMW X7, you can choose between a stool in the second row with a capacity for three passengers or two singles that would leave the total capacity in 6 seats but would reward the comfort of running. All seats have electrical adjustments and Vernasca leather, and also in the case of the third row of seats, are not emergency seats reserved for passengers of small size, but they are real seats that even have a central armrest with support for drinks and USB charging sockets. Logically with this configuration, the capacity of the trunk is somewhat limited as it has 326 liters that can lower seats down to 2,120 liters. Inside, the occupants will not miss anything. It has automatic climate control of four zones, ambient light, and a panoramic glass roof with three sections as part of the standard equipment. The five-zone automatic climate control system, Ambient Air package, Sky Lounge panoramic glass roof, glass insert controls, Bowers & Wilkins Diamond surround sound system and professional entertainment system for occupants of the seats back, enjoy more if possible from the trips on board. The driver will have the BMW Live Cockpit Professional as standard with the BMW Operating System 7.0, the completely digital control panel that has just been released by the BMW X5 and which completely changes the car’s appearance compared to other older BMWs, and improves the experience of use. We speak of a completely digital box formed by a screen of 12.3 inches (31 cm) that also offers multiple options of handling, since it can be done in a tactile way, through the iDrive, through the buttons on the steering wheel, or even through voice control and gesture control. Despite being the biggest BMW of all, the dynamism must be one of the characteristic elements of the driving of this car. It does not look bad since it has pneumatic damping in both axes and adaptive suspension with electronic control of the damping. One of the best features of BMW X7 is that you can order the Integral Active Steering, the system that makes the rear wheels turn in opposite or equal to the front depending on whether we want agility or stability on the road. It will also feature the Active Executive Pro roll stabilization system. The most performance version, for the time being, the BMW X7 M50d will feature the MSport differential as standard. But the BMW X7, like its little brother the X5, does not want to stay in being a simple asphalt SUV. That’s why it will have an optional off-road package that allows you to select different driving modes by pressing a button: xSand, xGravel, xRocks, and xSnow. Added features of BMW X7 is the list of driving aids that can be equipped and is really great. On the one hand, active cruise control (Active Cruise Control) will have Stop & Go function that allows you to stop and start the car following other vehicles in situations of heavy traffic and traffic jams. On the other hand the Driving Assistant Professional with control of the direction and the assistant for the change of lane, the notice of involuntary change of lane ( Lane Departure Warning ), the assistance for the stay in the lane ( Lane Keeping Assistant), the assistance against side-to-side collisions and for dodging maneuvers, the Crossing Traffic Warning, the Priority Warning,or the Wrong-Way Alert are part of the security equipment. We could also consider driving assistants the BMW Head-Up Display color with large projection surface, the parking assistant ( Parking Assistant ) with rearview camera and Reversing Assistant included. At the design level, we are obviously not faced with any car. As the flagship of the BMW X family, the new X7 sports prominent surfaces, a very striking front where the kidneys that characterize all the cars of the brand are bigger than ever. A high waistline, a very large glazed surface, the straight line of the roof and in general the design, give the new model a strength that did not have the X5 and X6, until now the kings of the BMW SUV family. Also highlight the multiple chrome elements arranged by the body, details that help the X7 is seen as a car a level higher than what we knew so far in the brand. The front lights, quite thin if we compare them with the rest of the car, are standard LEDs, but of course, they can optionally incorporate BMW’s Laserlight technology, released on the i8. With such a size, the wheels have to be large in order to properly fit both cars. Thus, the standard tires are 20 inches, while an option there will be 21 and 22 inches. When it goes on sale in March 2019, the best features of BMW X7 is that it will have a range of three engines, of which two are diesel and one gasoline. By order of power, the lowest will be the BMW X7 xDrive30d, which will feature the inline six-cylinder diesel combined with the eight-speed Steptronic gearbox. This version develops 265 hp at 4,000 rpm, 620 Nm from 2,000 to 2,500 rpm and accelerates from 0 to 100 km / h in 7 seconds while reaching 227 km / h of top speed. The declared average consumption will move between 6.5 and 6.8 l / 100 km depending on the equipment. The next on the power scale is the BMW X7 xDrive40i. Mounts the six-cylinder gasoline engine in line with an eight-speed gearbox. Delivery 340 hp and 450 Nm from 1,500 to 5,200 rpm. Accelerates from 0 to 100 km / h in 6.1 seconds and the peak speed that reaches is 245 km / h, while the declared average consumption stays between 8.7 and 9 l / 100 km depending on the equipment. The most powerful and sporty version, waiting for a possible BMW X7 M in the future, will be the BMW X7 M50d. It is also a six-cylinder diesel engine in line, but in this case, develops 400 HP of power and 760 Nm from 2,000 to 3,000 rpm. Its performance is quite remarkable since it goes from 0 to 100 km / h in 5.4 seconds while the maximum speed is set at 250 km / h and the average consumption goes from 7 to 7.4 l / 100 km. At the moment no more data on prices have been given, although we are sure that we know them soon. What is certain is that with the new features of BMW X7 they intend to conquer this interesting segment that is the one of the big SUV with high capacity and luxury finishes.